Wansdyke Ditch and Earthwork - Who Built It and Why? Most people have heard of Hadrian’s Wall, Offa’s Dyke and the Antonine Wall, but it is the lesser known Wansdyke in the West Country that is perhaps the most mysterious of them all! Stretching for 35 miles through the countryside of Wiltshire and Somerset, this large defensive earthwork was built some 20 to 120 years after the Romans had left Britain. Set to a east-to-west alignment, it is thought that whoever built the dyke was defending themselves against invaders from the north. But who were these invaders? 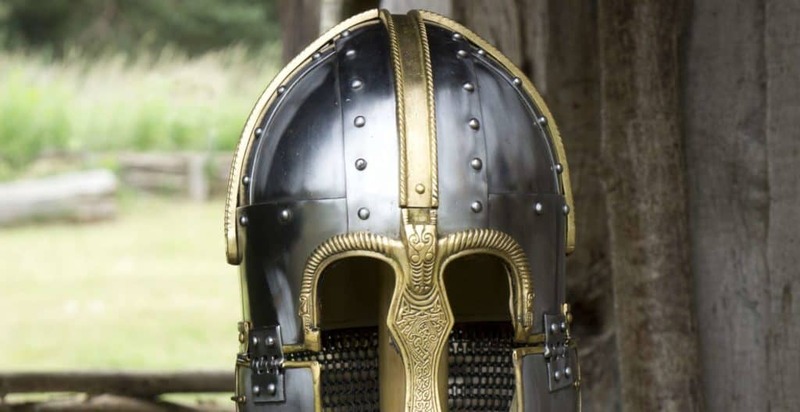 Although there is a fair amount of discussion around this subject, it is thought that it was built by the native Britons as a defensive measure against the Anglo-Saxons who were expanding their territory from the east and the north. It is also thought that by 519 the West Saxons (who would later come to create the Kingdom of Wessex) had their advance halted somewhere along the Hampshire / Wiltshire border. This theory is supported by the 9th century Historia Brittonum, and specifically its narrative of the Battle of Mons Badonicus. 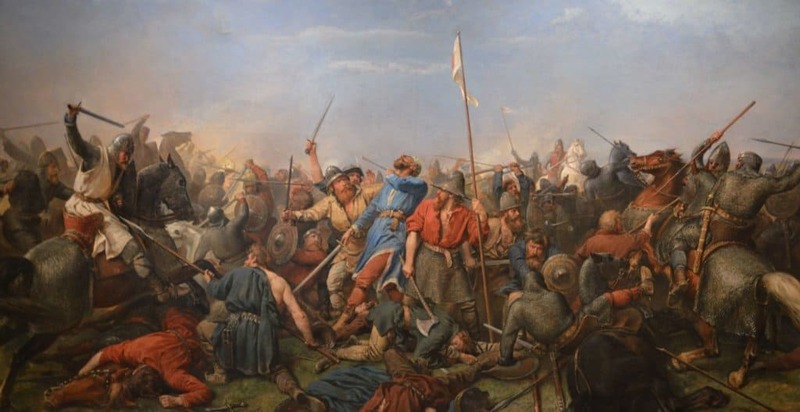 In this battle the native Britons, supposedly led by King Arthur himself, hit a decisive blow against the Anglo-Saxons and prevented them from gaining any more land for at least the next 50 years. Unfortunately there is no written account for where the Battle of Mons Badonicus actually took place, but one of the more popular theories was that it was around the area of Wansdyke. During the late 5th / early 6th century, this Somerset / Wiltshire area would have been the frontier of where native-Briton lands met Anglo-Saxon territory. It would have made sense then that the local Britons would have built some sort of defences knowing that invading hordes were coming their way! The Battle of Mons Badonicus. Although this is the most popular theory for why Wansdyke was constructed, it is not the only one. Another, albeit less popular hypothesis, is that the wall was built by the Romans themselves as a defensive measure against local Britons looking to take advantage of their crumbling authority in the late 4th century AD. Some recent Roman coin finds around the Wansdyke area may give to weight to this argument, especially as the coins were struck during the final few years of Roman occupation. This argument is also backed up by the fact that Wansdyke is very similar in design to other late Roman earthworks such as Bokerley Dyke in Dorset. The final theory behind Wansdyke was that it was built by the West Saxons to stop the pesky Britons from trying to retake their lands! The main argument behind this is that ‘Wansdyke’ literally means ‘Dyke of Woden’, Woden being the Anglo-Saxon god who used to carry the dead up to heaven. If indeed the Battle of Mons Badonicus took place near Wansdyke, then the huge losses that the Anglo-Saxons would have incurred may have led to them naming the Dyke after such a god. It is important to remember that Wansdyke was never actually a patrolled fortification. Instead, it was meant as both a fixed border between two territories as well as a buffer to slow down any invading forces. Today the dyke has been broken in to three separate parts. The eastern section (which runs through Wiltshire) is the best preserved, and even today the bank stands up to 14 feet high with the ditch at around 8 feet deep in places. The middle section of Wansdyke isn’t actually a dyke at all, but is formed by the remains of the London to Bath Roman road. The reason the road was integrated into the dyke was that it was actually raised above the ground and had the River Avon running behind it. This mean that the road was used as a bank, whilst the Avon was used as a makeshift ditch. The final section of the dyke is the western section; here there are around 9 miles of visibile remains. Originally however this western section would have spanned all the way from Monkton Combe in Somerset across to the Avon river crossings in Bristol and Bath. In case you’re planning on visiting the area, we’ve marked some of the key parts of Wansdyke onto the map below.